We have our financing scheme for our customers any time and always. So, you can feel assured even if you don’t want to pay full cash then we always have the EMI options for you. With our finance partner, Syakar Investment Company Pvt. Ltd., we have our finance process different for Honda Motorcycles and Honda Cars. For Honda Motorcycles/Scooters, we have two options that you can purchase in finance. One is the process for 1 year and the other is the process of 2 years. The first option i.e. 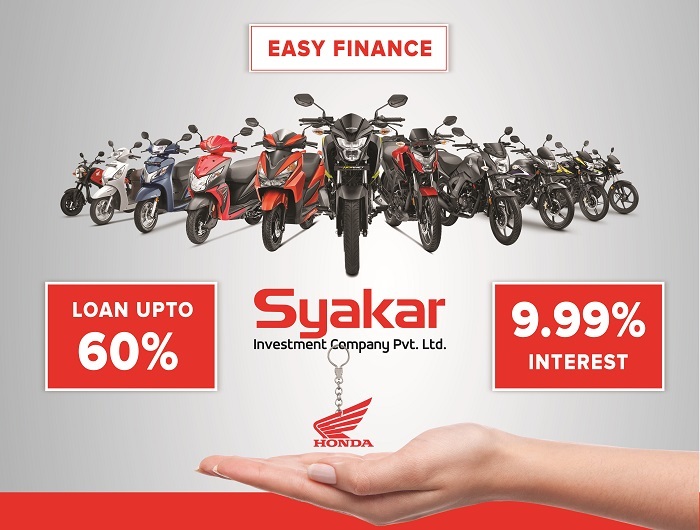 when you’re doing finance for 1 year, these are the four choices that you get when purchasing our Honda two wheelers. 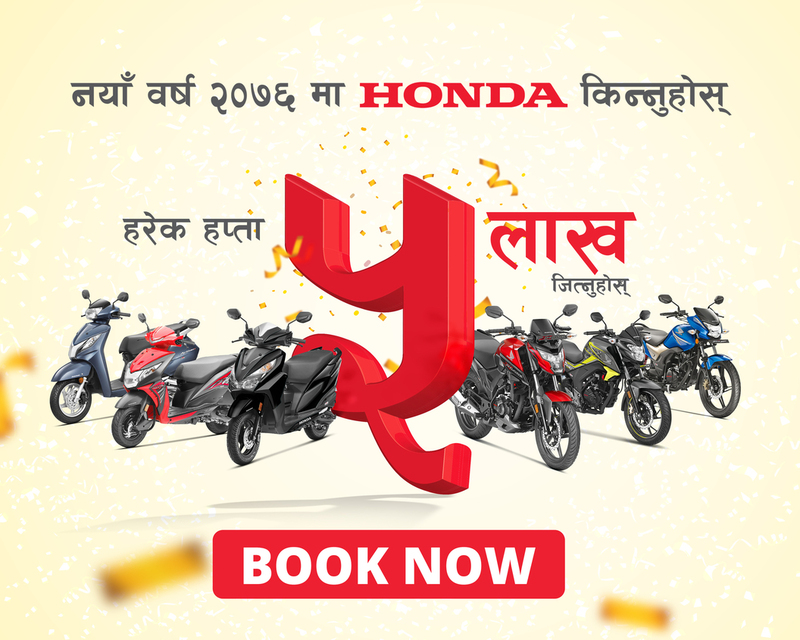 In bonus, we have the rebate choice which can only be applicable if Edit Page ‹ Honda Nepal — WordPressall of the installments are paid on time. On doing so, your rebate automatically will be 10% interest rate on EMI basis. *Rebate applicable only if all installments paid on time. The second option i.e. when you’re doing finance for 2 years, these are the four choices that you get when purchasing our Honda two wheelers. In bonus, we have the rebate choice which can only be applicable if all of the installments are paid on time. On doing so, your rebate automatically will be 10% interest rate on EMI basis. For motorcycles upto 125cc, the minimum down payment is 40% whereas, for the motorcycles above 125cc, the minimum down payment is 50%. Minute of board meeting deciding to take loan from Syakar Investment Co. Pvt. Ltd.
Audited Report of last 2 fiscal years. Tax Clearance of Last 2 fiscal years. 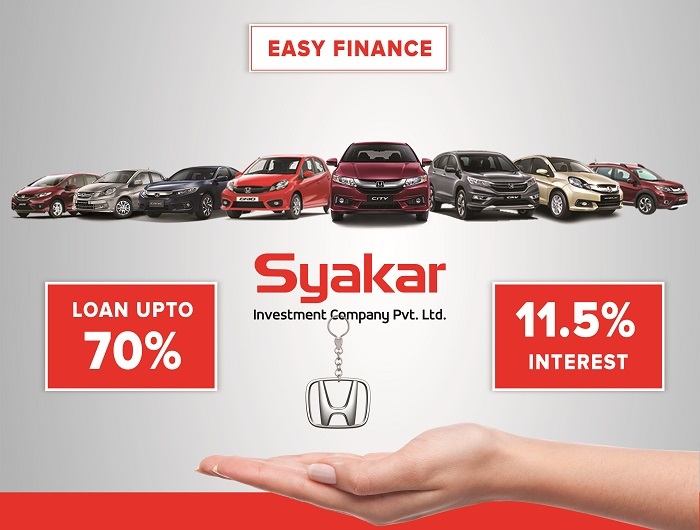 Syakar Investment Company Pvt. Ltd.